SPRINGFIELD – Two Republican candidates fighting for a seat in the Illinois House of Representatives believe the practice of increasing pay of public sector workers in their final years, so-called pension spiking, should be reviewed. But both candidates, Mike Babcock of the 111th District and former representative Dwight Kay in the 112th District, are wary of the state getting involved in issues that are often better dealt with at a local level. The issue of pension spiking was raised by the Republican candidate for sheriff of St. Clair County, Nick Gailius, who is running against the incumbent, Sheriff Rick Watson. Gailius obtained Watson's pay records under the Freedom of Information Act. They showed his salary within approximately one month before retiring as Cahokia police chief in 2011 at $95,163.60, but his pension was calculated on a last minute boost to $127,462.40. Pension payments are based on 75 percent of last salary, so the spike for the outgoing Watson essentially put his retirement pay at the same level as his salary before the boost. Babcock, a Republican, who is running against incumbent Rep. Monica Bristow in the 111th District, supports legislation to reform public pensions at the state level, and also believes local municipalities should not be forced to pay for "pension spiking." 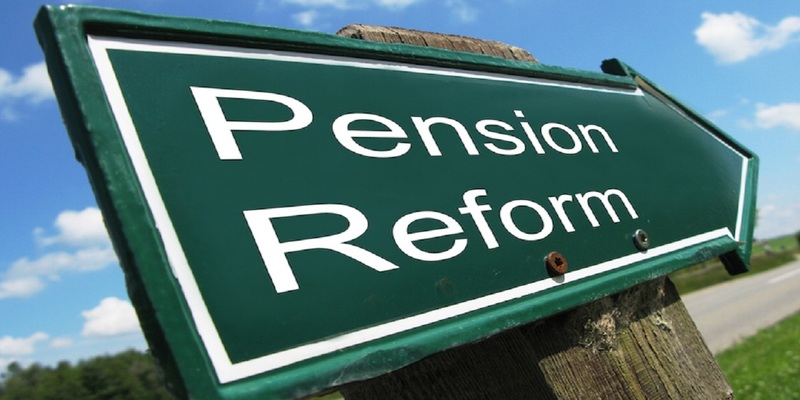 Little has been accomplished by state lawmakers to bring about change in dealing with the state's multiple and massively under-funded pension systems, which squeeze out funding for public services and drive down property values, some researchers say. Local pension funds are similarly under-funded, with taxpayers often paying four times or more into police, fire and municipal employee pensions than employees contribute into them. Watson's draw on the Cahokia Police Pension provides example. Annual reports of the pension fund indicate Watson contributed $137,167.01 into it over his career in Cahokia, however, by the end of the second year of his retirement in 2012, he had received more than he put into it. Republican Gov. Bruce Rauner's agenda that touted pension reform hasn't notched a lot of victories in a Democratically controlled legislature. But, in the most recent state budget, signed in early June, a provision was included to hold local school districts to account for end-of-career pay increases exceeding 3 percent in the worker's later years of employment. Local school districts can increase the pay but the Teacher's Retirement System (TRS) will not pay anything over 3 percent - that will be left to local taxpayers. It was previously 6 percent. Babcock told the Madison-St. Clair Record that, when it comes to "pension spiking," he supports state legislation, but that costs cannot always be left to local municipalities. "It is definitely a concern especially as it contributes to Illinois having the second-highest property taxes in the nation, and it deserves review," Babcock said. "(But) I do not like the state government unnecessarily involving itself at a local level." He added, "It is definitely worthy of review because there is a serious impact on property tax." On Watson's pension and his increase in pay, Babcock said, "I cannot imagine the sheriff's performance was so excellent in the last week." Bristow, of the 111th District told the Madison-St. Clair Record: "I don’t serve St Clair County and don’t have any feedback for you on the situation." Kay, a former representative, is pursuing a seat in the 112th District against incumbent Rep. Katie Stuart (D-Edwardsville). "My understanding of pension spiking...is that (it) has been going on in Illinois for some time," he said. But Kay wants to focus on what he believes is a bigger issue, the size of the state deficit, which he said has grown from $15 billion in 1994 to now $200 billion. The question is, he says, how to pay the bills down the line. There is argument over the total deficit. The state says it is $120 billion, while Moodys, the credit rating agency, believes it to be closer to $200 billion. "The first thing to do is to honestly assess how much we owe," said Kay. Sign-up Next time we write about Illinois House of Representatives, we'll email you a link to the story. You may edit your settings or unsubscribe at any time.